Check out the 2019 Nominees! The London Music Hall of Fame is located at 182 Dundas Street downtown. April 28 at the Aeolian Hall. Doors open at 6 p.m. starts at 7 p.m. Free event. May 5 at London Music Hall. Doors at 6 p.m. Show at 7 p.m. Free event. The not-for-profit Forest City London Music Awards (FCLMA) exists as a regional music incubator to preserve the rich music history of our region, celebrate the music makers of today and encourage a new generation of musicians. The FCLMA is proud to acknowledge that the land on which we gather for our events is the traditional territory of the Anishinaabek, Haudenosaunee, Huron-Wendt, Attawandaron and Lenape Indigenous peoples. This territory is covered by the Upper Canada Treaties, including Treaty 6, the London Township Treaty. 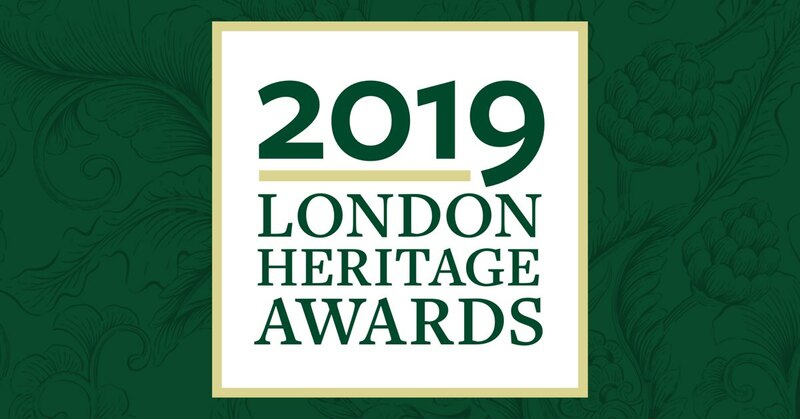 Forest City London Music Awards, curators of Canada’s only city specific Music Hall of Fame are grateful to have been awarded a London Heritage Award 2019. We thank the Architectural Conservancy Ontario – London Region (ACO London) and Heritage London Foundation (HLF) for recognizing the work done by FCLMA volunteers and the Manuel family. The London and area music community Is tuning up for the biggest party of its year at the 17th annual Forest City London Music Awards Gala May 5 at the London Music Hall. Says show producer Jen Watts: “This will be a night that unifies the community with plenty of marquee performances”. The first music awards were handed it in 2003 at the old Club Phoenix (now Moxie’s) and the program has gained momentum and grown every year. “When we started planning this project back in 2001, we could only dream that people would look forward to this celebration — but the community has embraced this event,” says Mario Circelli, chair of FCLMA. The 2019 gala show looks to hit new highs. Show hosts Tara Dunphy and Tom Dunphy have won quite a few FCLMA trophies themselves with The Rizdales — and the two will bring that flair to their gala performance. Also set to perform at this year’s gala are two Class of 2019 London Music Hall of Fame inductees. Nora Galloway, first known to fans from her days at Smales Pace and Home County Folk Festival, is one. The other is iconic fiddler John P. Allen who has played with Ian Tyson, Sylvia Tyson, The Good Brothers, Dixie Flyers, Tommy Hunter and Prairie Oyster. Local blues stars Delta Stone & The Wardogs, powered with new music and video releases, are also on the bill. After triumphing on CTV’s The Launch earlier this year, 21-year-old Londoner Saveria takes the Forest City London Music Awards gala stage for a performance slot. Forest City London Music Week 2019 is anchored by two deluxe attractions. London Music Week 2019 starts April 28 at Aeolian Hall with the FCLMA Jazz, World and Classical Awards Gala. Aeolian Hall’s Clark Bryan and Bryan Gloyd are co-hosts and the two stellar pianists are also set to perform. 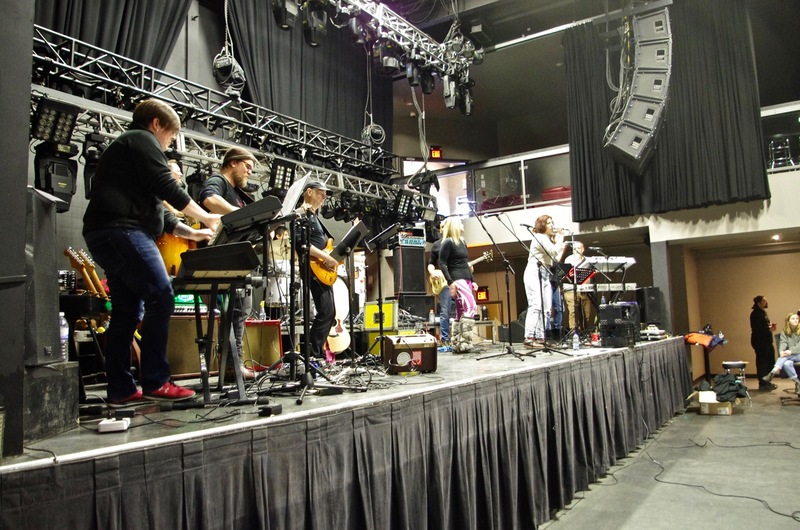 Dozens of gigs, big and small take place at venues around London before the 2019 edition of the week closes on May 5 at the London Music Hall with the 17th annual Gala. What: Forest City London Music Awards galas — visit fclma.ca for details on the galas and Forest City London Music Week 2019. Admission to the galas is free, but donations are welcomed. When: April 28 – Jazz, World and Classical Music Awards Gala — 7 p.m. at Aeolian Hall, 795 Dundas St.
May 5 – Forest City London Music Awards Gala — 7 p.m. at London Music Hall, 185 Queens Ave.
London Music Week shines the spotlight on the rich musical life of the community. It recognizes outstanding contributions, superb performance, writing and producing, and it nurtures up-and-coming talent. London Music Week kicks off with the FCLMA Classical, Jazz, World Music Awards Gala on April 28. Doors open at 6 p.m. while the show starts at 7 p.m. at Aeolian Hall. Throughout the week, live music is showcased at downtown venues. 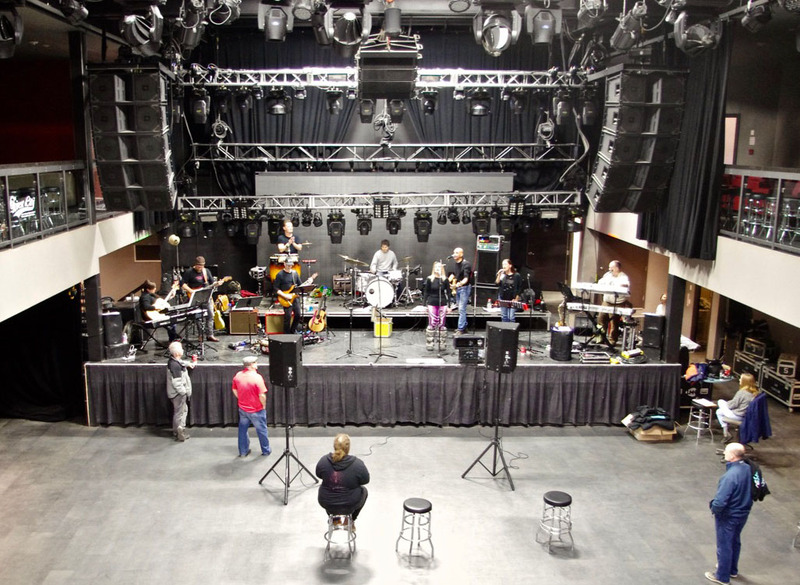 A professional development program is offered through SoundCheck for Success. The day includes panels, discussions, mentorship opportunities, exhibits and performances presented by FCLMA. The Battle of the High School Bands provides an opportunity for young musicians to strut their stuff and compete for a prize package that includes a professionally produced digital release. The week culminates with the FCLMA Pop Music Awards Gala on Sunday, May 5. It’s a night of love, accolades and live music by nominees and winners. As well as announcing the winners in almost 20 categories, FCLMA recognizes the careers and contributions of the latest inductees to the London Music Hall of Fame. Londoners have a lot to be proud of as the JUNOs arrive in town. 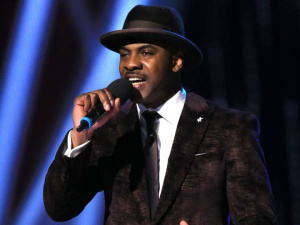 The city is host to the biggest music awards event in the country. It is also host to past, present and future award-winning musicians – at the London Music Hall of Fame. 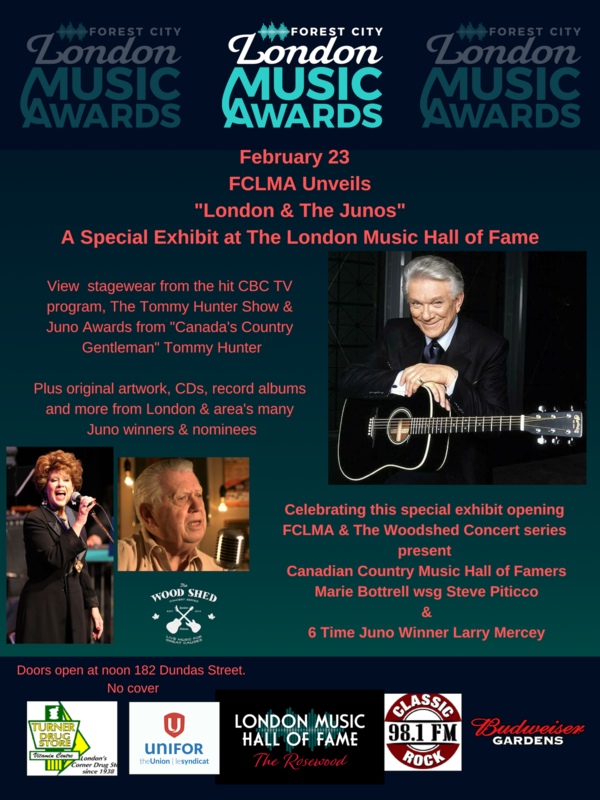 Forest City London Music Awards (FCLMA) invites everyone to check out the city’s prominent role in Canadian music during the JUNOs at the Hall of Fame, 182 Dundas St. – the only Canadian city-specific music hall of fame. Also free: Woodshed Concert Series and FCLMA present a Hall of Famers performance by Canadian Country Music Hall of Famers Marie Bottrell (with guitarist Steve Piticco) and Larry Mercey. Mercey is a multiple-JUNO winner; Bottrell has eight JUNO nominations. Admission is free — but fans are encouraged to bring a donation for The Kids Mental Health Optimist Club of Canada. “We love the way the Woodshed has brought London indie, roots and community sounds to gigs since 2014. We also love their commitment to ‘Live music for great causes’ — and look forward to co-hosting more events with them,” he said. The hall itself is worth checking out. For its creative reuse of the former site of Nash Jewellers, the Hall of Fame is nominated for a London Heritage Award Feb. 21. Visitors can see the original mosaic tiled entry and rosewood display cases. When: Feb. 23, noon to 5 p.m. Woodshed Series Concert with Marie Bottrell and Larry Mercer at 2 p.m.
Where: London Music Hall of Fame, 182 Dundas St. These Awards are given out each year by ACO London and HLF in recognition of outstanding leadership excellence in heritage conservation across the London region. Notable past Honourees include Wes Kinghorn, Ann and David Lindsay, and Vintage London, and structures such as the London Normal School, The Unity Project, London Roundhouse, and the Clock Tower Inn in Strathroy as well as many private homes throughout the London region. This year’s winners will be announced on the evening of Thursday, February 21st at the 12th annual Gala celebration at the historic Delta Armouries Hotel in the heart of downtown London. The ACO London Heritage Scholarship recipient and London property owners receiving heritage designation plaques will also be recognized at this event. 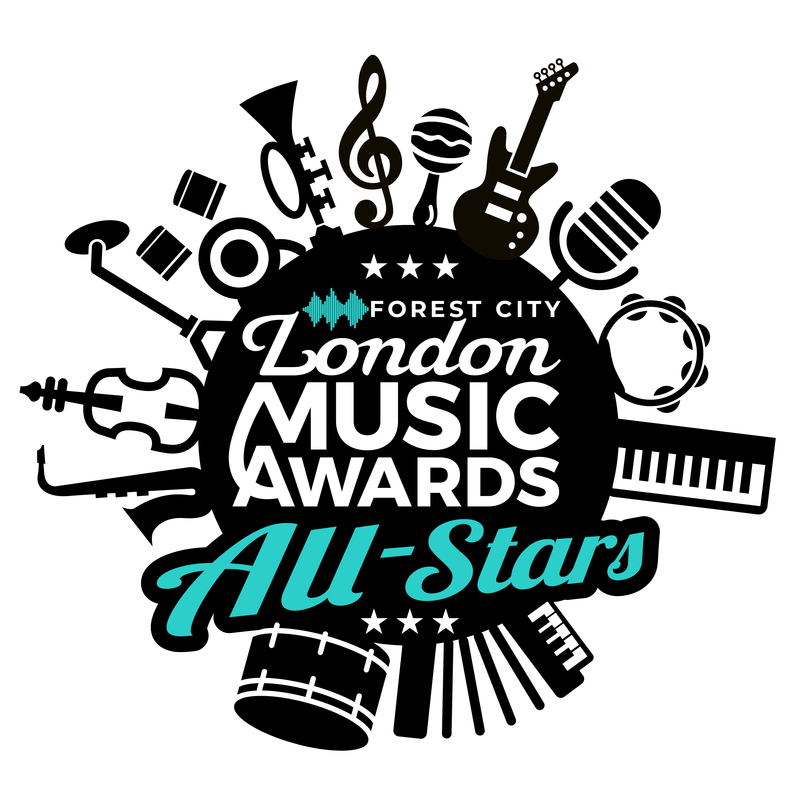 The Forest City London Music Awards Board of Directors congratulation all nominees and is proud our London Music Hall of Fame is among such outstanding heritage conservationists. You’re invited to the biggest party in town, and it’s free. The Start.ca New Year’s Eve in the Park takes place in Victoria Park. “There is free transportation, free skating, free music, free hot chocolate, free mittens, and free fireworks – at 9 p.m. and midnight,” said Marcus Plowright, chair of the event’s volunteer organizing committee. Last year, in -28C temperatures, 15,000 people came out. “You couldn’t see the end of the crowd from the stage,” Plowright recalled. This year, organizers have partnered with several local sponsors to reach as many Londoners as possible. “We’ve expanded to include family hours from 7 p.m. to 9 p.m.,” Plowright said. The New Year’s Eve bash costs about $50,000 – $100,000 to cover talent, production costs, security, lighting, heating (on stage), policing, stage management, and fireworks. The two firework shows alone account for about 20 per cent of the budget. “It’s a big, big fireworks show that goes on a long time. It’s pretty impressive,” said Plowright. This year’s entertainment includes princesses and superheroes for the younger crowd and bands and singers that appeal to all ages and tastes. Event manager Mario Circelli has drawn on his experience and network to line up a program of award-winning musicians. The entertainment will flow non-stop on two stages from 7 p.m. to midnight, starting with the Amabile Singers on the main stage, then the Magen Boys on the secondary stage. Behind it all is the 14-member Forest City London Music Awards All-Stars and the four-member Forest City London Music Awards Rap Pack of JR Fillion, Sum 1, Ashley Weisbeck and Alex Ven DJ. Many of the performers are Forest City London Music Award recipients. The rock duo Swagger was Fan Favourite last year and bassist Mo has been the bass player chosen for the London Music Awards fantasy band two years in a row; Swagger vocalist Darla Stratton was also last year’s fantasy band vocalist. Known for her energetic performances, that’s no change – but the gloves on stage will be new. She’s been practising with fingerless gloves for the cold. Stratton is also performing with the All-Stars and bringing tea and honey to stay warm. 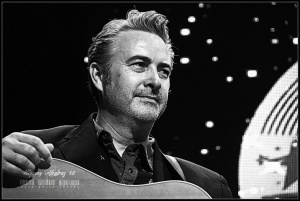 Guitarist Greigg Fraser is another member of the All-Stars. His five-man band Howzat’s latest release is Shatter, featuring the single Tell Me. He’s performed with or opened for many Canadian music luminaries such as Rush, Max Webster, the Spoons, Rik Emmett, Skip Prokop, Lawrence Gowan, and Downchild Blues Band. Jazz singer Denise Pelley is in the Music Hall of Fame. She has performed with guitarist Jess Cook, blues legend Jackie Richardson, opened for Aretha Franklin and has a long list of awards, accolades and honours. Some of the other All-Star include drummer Brad ‘Lavard’ Ondrovcik of ’63 Munroe and Twin Fin; drummer Fil Beorchia; John Brocksom, a classically trained multi-instrumentalist; vocalist Anne Moniz; Kate Channer; guitarist Paul Aitken; bassist Paul Loeffelholz; vocalist Tanya Lovell; FCLMA winner Saraina Haggarty and singer/songwriter Alan Charlebois on vocals and guitar. The winners of the Jack FM Road to New Year’s contest MAD! will also perform. 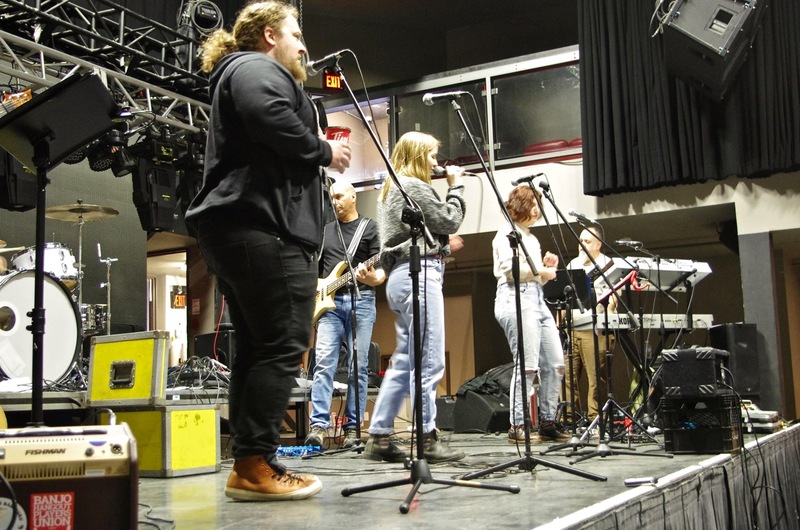 Plowright said 29 local bands entered and four were selected for a battle of the bands in front of a seven-person panel of judges. The winning trio M.A.D. is made up of two 14-year-olds playing lead and bass guitars and a 12-year-old drummer. “They will open the show and steal the show,” said Plowright. For his part, Circelli just wants everyone to have a great time. Love Music, Love Performing? This is your chance to be a star. Calling local musicians to participate in the “Road to New Year’s Eve” contest organized by Jack 102.3FM. The “Road to New Year’s Eve” could be your road to playing in front of thousands of fans at London biggest and only free New Years celebration. It’s Start.ca New Year’s Eve in the Park and you could be slated to perform Monday, December 31 at Victoria Park opening for the London Music Awards Allstars. Interested participants just need to submit an entry form including links to two of their songs by November 25. Entry form and more information available at https://www.jack1023.com/ Four semi- finalists will be selected to perform at FitzRays on Wednesday, December 5 for a panel of music industry judges. Semi-finalists will receive FitzRays gift certificates and the winner scores $500 and the opportunity to play at London’s biggest New Year’s celebration. Start.ca New Year’s Eve in the Park is a community-driven event supported by the City of London. This free, fun and family-friendly event brings thousands of Londoners together to enjoy a magical night filled with entertainment for all ages. More to Do, More to See, More to Celebrate! Enjoy a curator-led tour of this facility and learn about London’s music history and Hall of Fame inductees – including Guy Lombardo, Tommy Hunter, Garth Hudson, Priscilla Wright and others. Londoner and drummer Graham Lear (FCLMA Hall of Fame 2018) played with some of the worlds biggest bands; Santana, REO Speedwagon, Gino Vannelli and Paul Anka. Check out his personal road gear. Saturday and Sunday, September 15-16, 2018 from 10 a.m. to 7 p.m. Doors Open London (DOL) is the City of London’s largest collective celebration of history, heritage and culture. In its 17th year, DOL is one of the longest-running community celebrations in Ontario. This year’s event will be themed on History comes alive in London. Come and explore and learn about London’s heritage and hidden gems through re-enactments, live theatre, pop-up interactive plays or other interactive performances. This unique two-day event is designed for visitors to discover the city, ask questions and reflect as they travel to London’s meaningful places. Sites will be open for exploration free of charge for local residents and visitors. This annual event has become widely recognized as a weekend of communal gathering, celebration and recognition for London’s heritage sector – featuring hands-on interactive activities that invite the public to participate behind the scenes. Acclaimed author Julie Chadwick has a London Music Week date. Chadwick shares tales from The Man Who Carried Cash (Dundurn Press). It’s the inside account of the drama that unfolded as the late Londoner Saul Holiff managed troubled country music superstar Johnny Cash from 1960 – 1973. Holiff not only “carried Cash” during those tumultuous years, he was the man who brought Johnny and June Carter together. Julie Chadwick is at Brown & Dickson on Saturday, April 14, at noon. “I was surprised by two things — one, by the depth and intimacy of how they interacted at times; when they worked well together they were so complementary that their partnership was a dream, and led to incredible highs and successes,” Chadwick says in a LondonFuse story about her book. “But independently, they were powerful figures with their own ideas and direction, and when they clashed it was intense and sometimes ugly. Later on Saturday, Chadwick is at a screening of Jonathan Holiff’s My Father & The Man In Black at the Jack Richardson Ballroom followed by a Q&A. It’s a fundraiser for London Music Hall Of Fame. LMW 2018 winds up Sunday, April 15, with a 7 p.m. gala at the London Music Hall. The only inside look at the legendary Johnny Cash, as seen through the eyes of his longtime manager, Londoner Saul Holiff—the man who put Johnny together with June. Hosted by filmmaker Jonathan Holiff, this event is a fundraiser for The Jack Richardson Music Hall of Fame. The Jazz and Classical Music Awards gala was held at Aeolian Hall, where a full house enjoyed several performances by bass-baritone singer Chad Louwerse, Eagle Flight Singers, Laurraine Sigouin, the Mark Swan Quintet and Pride Men’s Chorus London. The gala was hosted by Aeolian Hall founder Clark Bryan and his husband Bryan Gloyd. Bryan was elated that his El Sistema Aeolian, which he directs, won the award for Classical Instrumental (Group). “One of the things we always forget is just how much talent and drive we have in our musicians and London has a lot to celebrate,” said Bryan. Bryan founded El Sistema in 2011, the free, intensive after-school music program based on a program founded in Venezuela in 1975 by conductor José Antonio Abreu, who died last week. There is also a program for adults. Among the other winners was the Indigenous group, Eagle Flight Singers, who took home the award for world music, and cellist Christine Newland, who took home the classical instrumental solo award. Newland has become a popular musician in the city, often appearing on stage and on recordings for local artists, including rocker Sarah Smith, nominated in the rock category. Mario Circelli, the awards founder, was pleased with the results and looking ahead to the gala for pop and rock and inductions into the London Music Hall of Fame Sunday at London Music Hall. “The talent in this city holds up to anything in Canada,” said Circelli, a former musician and now a record and video producer. Pride Men’s Chorus London, classical vocal (choir or group); Nicole Tan, classical vocal (solo); 5PGB (Five Piece Groove Band), jazz instrumental (solo or group); and, Hilary Welch, jazz vocal (solo or group). 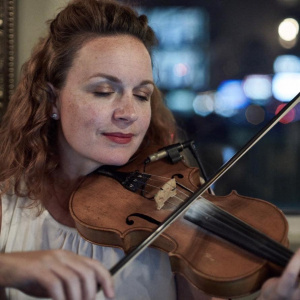 London Music Week continues Monday at 7 p.m., with Women of London Music, featuring Emm Gryner, Megan Schroder, Camie and Jenn Rayna, at The Angry Goat Public House, 855 Wellington Rd. South. Admission is free. 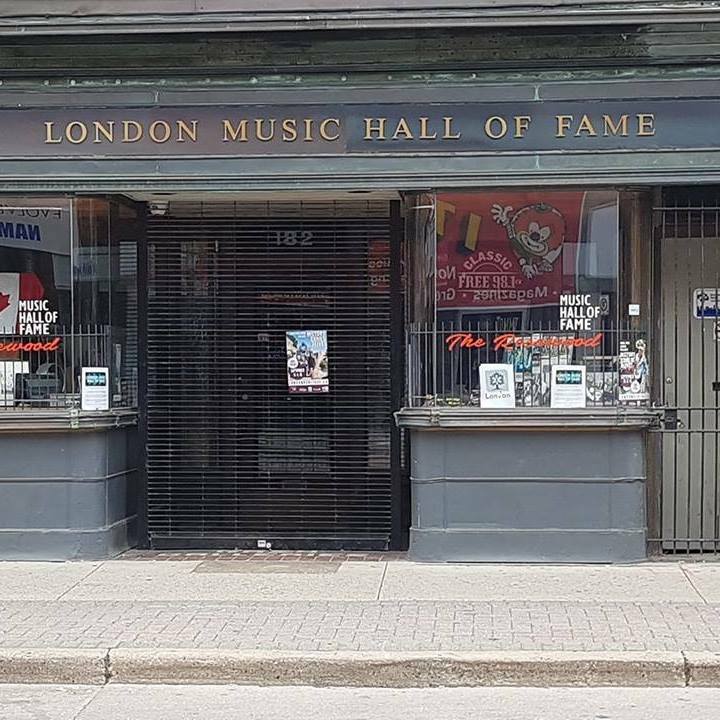 The FCLMA also operates the London Music Hall Of Fame at 182 Dundas St., London, where the contributions of more than 20 inductees are celebrated. The London Music Awards has a score and more of events lined up for London Music Week April 8-15. April 8 at 7 p.m. More awards and London Music Hall Of Fame inductions take centre stage at the closing gala at the London Music Hall on April 15 at 7 p.m. But the first sounds of LMW 2018 are heard on the afternoon of Friday April 6 at the Hall Of Fame. The Hall celebrates the big week with extra days open and extended hours. The public and media is invited to join in. Spicing Friday’s open Hall is a live broadcast by CHRW 94.9 Radio Western’s DJ Mediafrenzy (2 p.m.) and Dave (whatwave) O’Halloran (4 p.m.) from the adjoining Rosewood Lounge. “Playing a whole set of local tunes, DJ Mediafrenzy invites you to come by, visit the music museum (Hall Of Fame), chat about bands and celebrate the amazing local music talent in this city,” the DJ (Melissa Parrott off-stage) says on her Facebook page. The weekend launch for LMW 2018 continues on Saturday at the Hall in the afternoon and at the Eastside Bar & Grill when JRLMA award-winners Full Petty Fever have a night-time gig. Visit fclma.ca for full 2018 details. The London Music Awards has unveiled its three 2018 Inductees to its Hall of Fame and two LifeTime Achievement recipients in addition to announcing the hosts for the 2018 LMA Awards show April 15 at the London Music Hall. Who comprises the London Music Hall Of Fame’s Class Of 2018? Acclaimed drummer Graham Lear; the late Gordie Tapp, a TV star on many country-music themed shows; and London rocker Doug Varty. Their excellence will be represented alongside more than two dozen peers from London music over the decades in the Hall Of Fame, 182 Dundas St.
Also being honoured: Longtime London promoter Nick Panaseiko is to receive a FCLMA Lifetime Achievement Award. He joins the late Saul Holiff, announced earlier as a 2018 Lifetime Achievement honouree, as a recipient. The three Hall Of Fame inductees and two Lifetime Achievement honourees will be formally recognized during London Music Week 2018, which goes April 8-15. The London Music Awards is honoured to announce Saul Holiff as a 2018 Lifetime Achievement Award recipient. The Lifetime Achievement award is presented to an individual who has been an outstanding contributor to the London and area music community over many years. The FCLMA board of directors grants this distinction to thank such people and inspire others to make an impact on the community. Saul Holiff certainly made an impact. As the manager of U.S. country superstar Johnny Cash from 1960-1973, Holiff helped shape the future of the modern Canadian music industry. He managed the careers of many Canadian artists, including Tommy Hunter and Debbie Lori Kaye — and made London a music business city in the 1960s. Holiff was among the first to bring live Rock ‘n’ Roll to Canadian audiences, including Bill Haley and His Comets; The Everly Brothers; Buddy Holly; Chuck Berry; and, Jerry Lee Lewis. He also promoted country acts, including Marty Robbins; Kitty Wells; Jimmy Rodgers, Faron Young; and, Johnny Cash (starting in 1958). The first Lifetime Achievement Award honouring Londoners who have made an outstanding commitment to music was handed out by a LMA forerunner in 2003. Holiff will be honoured at the Awards Gala April 15, part of the 2018 Jack Richardson London Music Week, April 8-15. The not-for-profit Forest City London Music Awards (FCLMA) is a regional music incubator to preserve the rich music history of our region, celebrate the music makers of today and encourage a new generation of musicians. 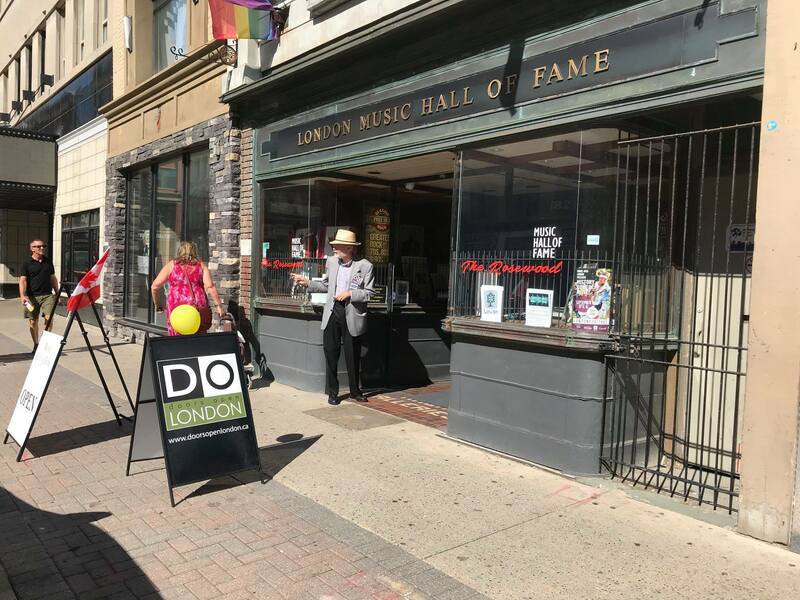 The FCLMA also operates the Jack Richardson Music Hall Of Fame at 182 Dundas St., London, where the contributions of more than 20 inductees are celebrated. The London Music Awards (FCLMA) will be heating up February by making it hotter than a pepper sprout. If that sounds like the words to Jackson — the signature song of country superstars June Carter and Johnny Cash — it should. The awards program is celebrating the 50th anniversary of Cash’s on-stage proposal to Carter on Feb. 22, 1968 at the old London Gardens with a country music gala 50 years to the day after it happened. Guests of honour include W.S “Fluke” Holland, Cash’s drummer who was behind the kit at the iconic 1968 London Gardens show and Tommy Cash, Johnny’s younger brother. JRLMA winners The Marrieds perform a tribute to Johnny and June with guest appearances by Holland and Cash. More London musicians will be joining the show and other guests who know the Cash-Carter-London story will be here on Feb. 22 or during Jack Richardson London Music Week 2018 (April 8-15). Filmmaker Jonathan Holiff and author Julie Chadwick will be here on April 15 as London and the FCLMA continue to celebrate that hot February night. of Rockabilly, Country, Folk and Rock & Roll. His driving “train-like” rhythms and innovative shuffles are distinctively present on dozens of icon-hit records including, Folsom Prison Blues, Ring of Fire, I walk the Line. Boy Named Sue and dozens of other recording by Johnny Cash and The Tennessee3. WS was behind the kit for Cash’s band for the magical night February 22, 1968 at the London Gardens. Tommy Cash is the younger brother of Country music icon Johnny Cash. He is an accomplished musician himself. After serving in the Army Tommy played with Hank Williams Jr.. Through his career Tommy scored a number of Billboard hits. In 1969 he delivered his biggest hit, a tune dedicated to JFK, RFK and Martin Luther King entitled, “Six White Horses.” Tommy continues to tour, is a motivational speaker and the voice behind dozens of television commercials. 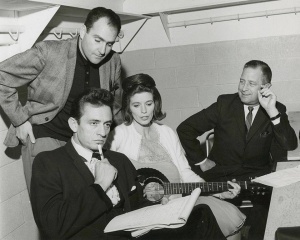 Before there was Johnny and June, there was Johnny and Saul … the late Londoner Saul Holiff managed Johnny Cash through the 1960s before parting ways on the Londoner’s terms in 1973. It was Saul Holiff who brought June Carter into the Cash touring family in 1961. As the tours continued, Cash and Carter — who were married to others — fell in love. June Carter had been married twice, had two children, and had toured for years with her mother, Maybelle, who was part of the original Carter Family, country music pioneers in the 1920s. In the early 1960s, June Carter co-wrote Ring of Fire with fellow songwriter Merle Kilgore. Ring Of Fire was about her relationship with Johnny Cash. In 1963, Johnny recorded the song with the Carter Family singing backup, and added horns. The song became a No.1 hit. The on-stage proposal came a few years later. Holiff recalled that the country superstar, deeply in love with Carter, kept his plans to propose on stage a secret. Cash kept hinting something big was forthcoming before popping the question on Feb. 22, 1968. Making the proposal on-stage at the London Gardens in Holiff’s hometown was a nod to Holiff’s support of Cash through the Cash-caused disasters of earlier days. That night, Carter initially tried frantically to brush off the invitation. She shot back “sing a song, John” and tried to lead the band into the next number on the setlist. Cash stoically waited for an an answer. There were cries of “say yes” from the audience, Carter did accept the proposal. But her “yes” must have been quiet. “They were all a dither for a moment or two, and I don’t think she answered him, or at least not so that we all could hear,” former London-area journalist Ralph Willsey recounted in a story for the Ottawa Citizen in 1998. The proposal became a big moment in 2005’s hit biopic Walk The Line, Joaquin Phoenix was Cash. Reese Witherspoon was Carter — and won an Oscar. But the location for the proposal was given as “Ontario, Canada” and the beautiful Orpheum Theatre in Memphis provided the fictionalized setting. The 1960s’ hockey barn and London where it really happened were not on screen. Much worse, Walk The Line left Saul Holiff out of the story. That odd and hurtful omission helped inspire another film. Setting the record straight is Jonathan Holiff’s terrific documentary film My Father And The Man In Black. London-born Jonathan is the son of Saul Holiff. In turn, B.C. author Julie Chadwick was inspired by Jonathan Holiff’s moving film to write The Man Who Carried Cash about the Londoner and the country superstar — and June Carter — teaming to conquer the entertainment world. One last Cash and London note. — Londoners will remember the ATM connection to the Man in Black. “How many times have you been caught short, and the only thing between you and your money is the clock … you know, Canada Trust has a better idea,” the musician told Canadian TV audiences in a 1985 commercial announcing the rollout of the London-based Canada Trust’s line of automatic “JohnnyCash” machines. June Carter and Johnny Cash died months apart in 2003. Saul Holiff died in 2005.